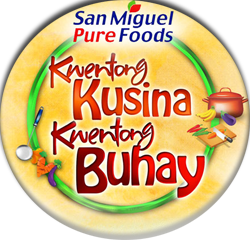 Inspiring real-life stories alongside mouth-watering dishes will be served in ABS-CBN’s newest weekly cooking reality show “Kuwentong Kusina, Kuwentong Buhay”. Hosted by the ultimate multimedia star Toni Gonzaga, the show will feature inspiring stories from featured letter senders. 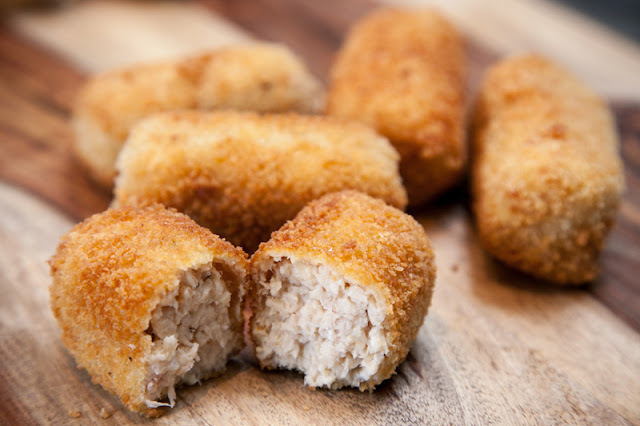 There are many other types of croquettas you can make. You can use chicken or crab, for example. Chef Gene Gonzalez, infuses the flavorful tinapa meat for this easy to make recipe. No matter what the filling, nobody can deny that these poppers are just creamy and yummy. 1. Mix the Tinapa with the potato then add butter and put the cream. Add nutmeg. Season with salt and pepper. Add peas. Cool. 2. Using a spoon, form an oval form then coat with flour dip in egg whites and dredge with flour, coat with egg white again then breadcrumbs to seal very well. 3. Deep fry in corn oil.